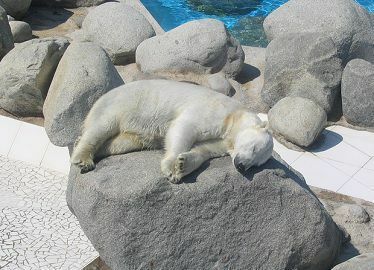 The state of inactivity and a low metabolic process performed by the animals during the winters is known as Hibernation. It is also known as winter sleep. On the contrary, when animals take rest in shady and moist place during summer, it is called Aestivation or Estivation. Aestivation is also known as summer sleep. The importance of these sleep is mainly related to the conservation of energy of one’s body, survival during the extremes temperature, scarcity of food and water, etc. These sleep can be of long or short duration. During such naps, the use of energy by the animals gets reduced to 70-100 times lesser than the usual time or at an active state. For going into hibernation or aestivation, animals go through the pre-preparation stage, where the animals store enough of food and water which may last for the long duration, but generally, the food is stored in the form of fat, which provides energy to survive. These sleep proceeds gradually, as the metabolic activity, hearts beat and breathing rates also slows down. The electrical activity in the brain though stops, but still, the animals respond to stimuli such as sound, light, and temperature. Though in some cases the animals awake, perhaps every two weeks to take fresh air and deep breathe, but when the season change, the arousal starts with the internal body system starts getting active slowly. It takes few hours for animals to get completely active. With the way of highlighting the importance of two types of sleep observed in animals, we will also focus on the points on which they differ through this content. Hibernation is the type of winter sleep, performed by the warm and cold-blooded animals. Aestivation is the type of summer sleep, performed by cold-blooded animals. Duration It is for the whole winter. It is of short duration. As hibernation is the sleep during the winter, the animals look out for the warmer place, their metabolic activities slow down, and it is the dormant stage. 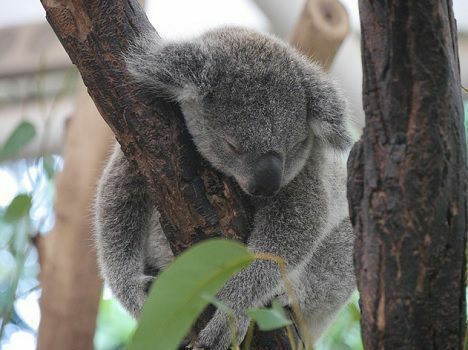 Aestivation is a summer sleep, so animals search for the moist, shady and cool place to sleep. Bats, birds, mammals, insects, etc. Bees, snails, earthworms, salamanders, frogs, earthworms, crocodiles, tortoise, etc. Hibernation helps in maintaining the body temperature and thus avoids from any internal body damage due to low temperatures. Aestivation also helps in maintaining the body temperature by avoiding the excessive water loss and any internal body damaged due to high temperatures. The phenomena where the animals go to almost dormant condition, their metabolic activity gets lowered. Certain vertebrate animals adopt it like Bears, Bats, Hamsters, Ground Squirrels, Skunks, Deer Mice, Wood Frogs, etc. Hibernations is the common term used for the reptiles, amphibians, and fishes which spend their winter with the body temperatures near to the freezing. Such hibernators like mammals and bear spent maximum time in dens. Though mammals are not the true hibernators as their body temperature does not get much lower, and they are not entirely inactive. Insects hibernate themselves by keeping themselves warm in the holes of the ground, or in rotting logs or under tree bark, whereas frogs, turtles, and fishes take shelter in the deep water of lakes and ponds, or by burrowing in muds. Hibernations is called the dormant condition as the animals emerge to be almost dead or near to it. Their body temperature is around to 0 degrees C or 32 degrees F. The only system which is active in their body is breathing, which is also at a slower rate, like their heartbeat. Another main significant problem faced by these animals is the unavailability of food. Hence, before winter sleep the animals eat extra food and store in the form of excess fat, which is supplied in the form of energy while sleeping. During the hibernation, animals awaken at few intervals in order to feed themselves again and return to the same state, this is the time when they are exposed to the warmth, and slowly get active for some time. Aestivation or estivation is almost similar to hibernation, but the distinct critical point is that aestivation is the summer sleep. It occurs to the animals living in deserts or tropical areas. It occurs because of the hot and dry climate as well as due to the lack of food and water. 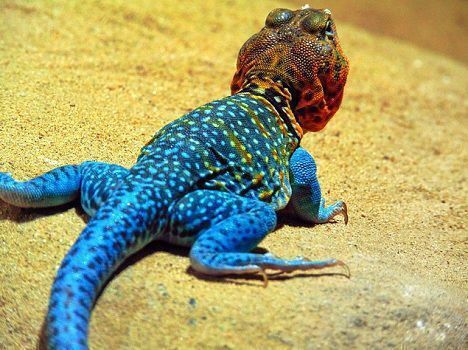 In order to survive under hot climate, the vertebrates like arthropods, Mollusca, reptiles, amphibians, (lady beetles, moths, salamanders, crocodiles and tortoises of North America, aborigines, swamp turtle greater siren, African hedgehogs) proceed by going underground in the humid and cold region. This last for the summer season and the animals get active slowly at the end of the season. The most wonderful aestivation is found in the Lungfish, which is capable of aestivating and surviving without water even for the three years. These are primitive fish, carrying lungs for breathing air. At the summer season or when the lake gets dried, the fish gets itself buried into the mud and when the mud of the lake starts getting dry, the fish secrets lots of mucus to cover the entire body, this mucus work like a sac and provide moisture and shelter until the whole dry season. During this, the fish breathe through the mucous tube. The primary purpose of these animals is to save their energy and to prevent the loss of water or from getting dehydrated. A state of sleep during the winter season, to survive from the cold, scarcity of food and water is called as Hibernation. It is performed by the warm and cold-blooded animals. On the other hand, Aestivation is the type of summer sleep or state of inactivity during the summer season; it is performed by the cold-blooded animals in order to survive during the periods of heat or drought. Hibernation is for whole winter, in which animals take rest in the warmer place, their metabolic activity slows down, and they pass the tie in a dormant condition. Aestivation is of short duration, where animals search for the moist, shady and cool place to sleep. This is done to protect themselves from the temperature dis-regulation in their bodies. Bats, insects, birds, mammals, etc. are the examples of the hibernating animals, whereas Bees, snails, earthworms, salamanders, frogs, earthworms, crocodiles, tortoise, etc. are the examples of the aestivating animals. Importance of the hibernation and aestivation is that it helps in maintaining the body temperature and thus avoids from any internal body damage due to variation in temperatures. In this article we studied about the hibernating animals as well as the animals who performed aestivation, we came across the importance of these activities. We also came to know the reason for such periods of sleep and why it becomes necessary for the animals living in such areas.